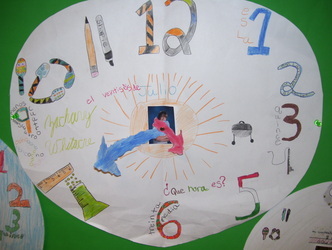 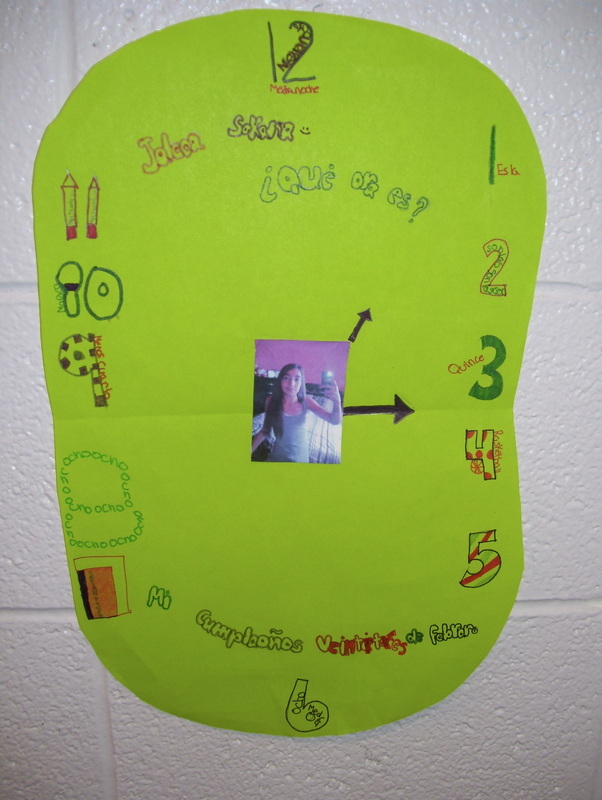 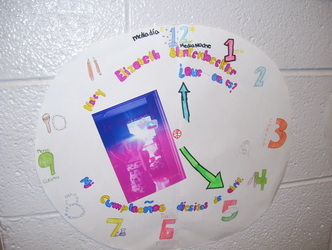 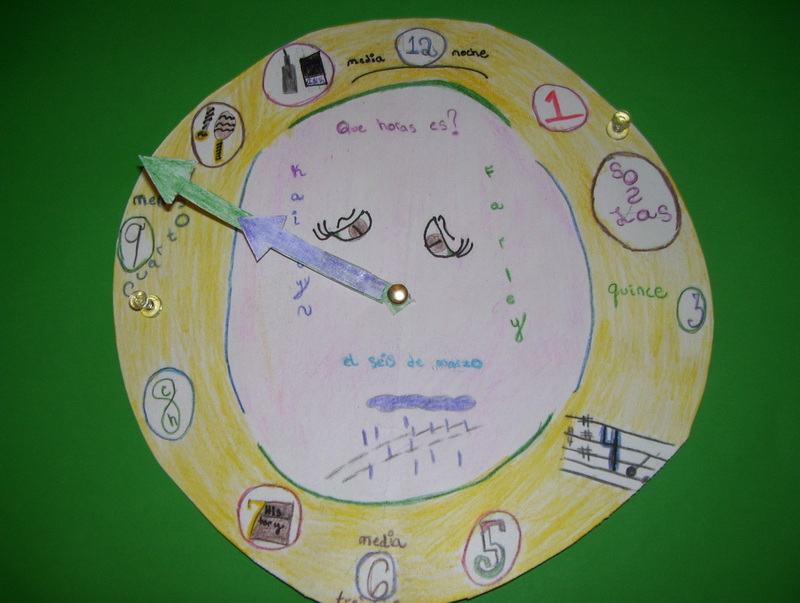 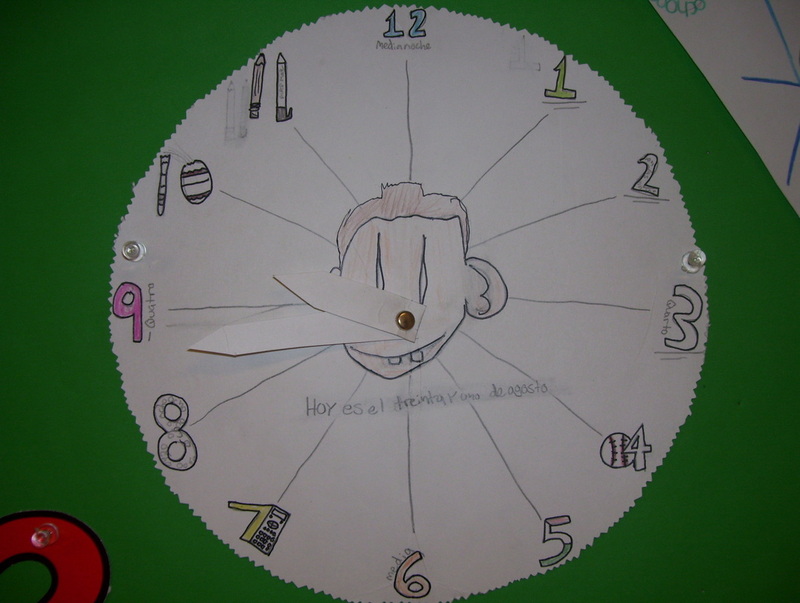 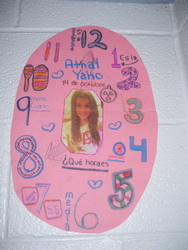 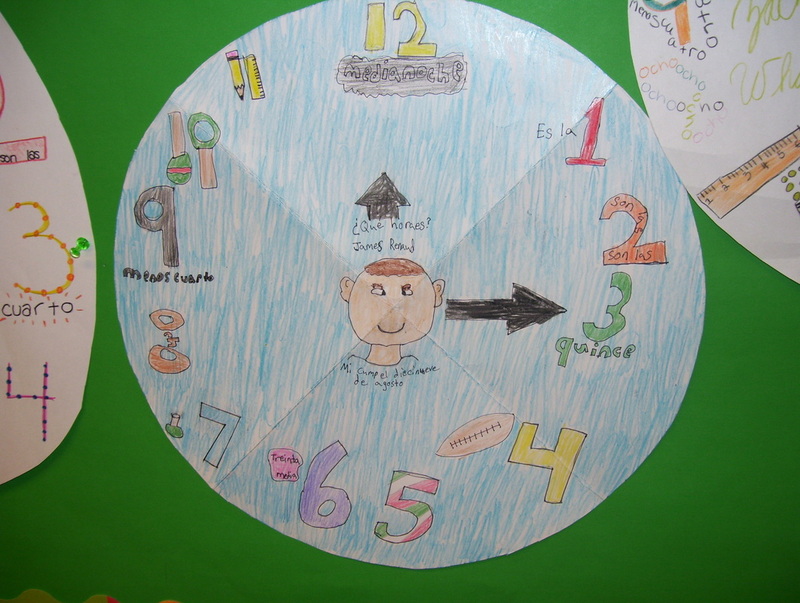 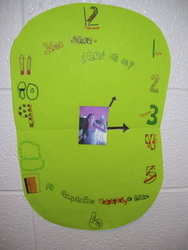 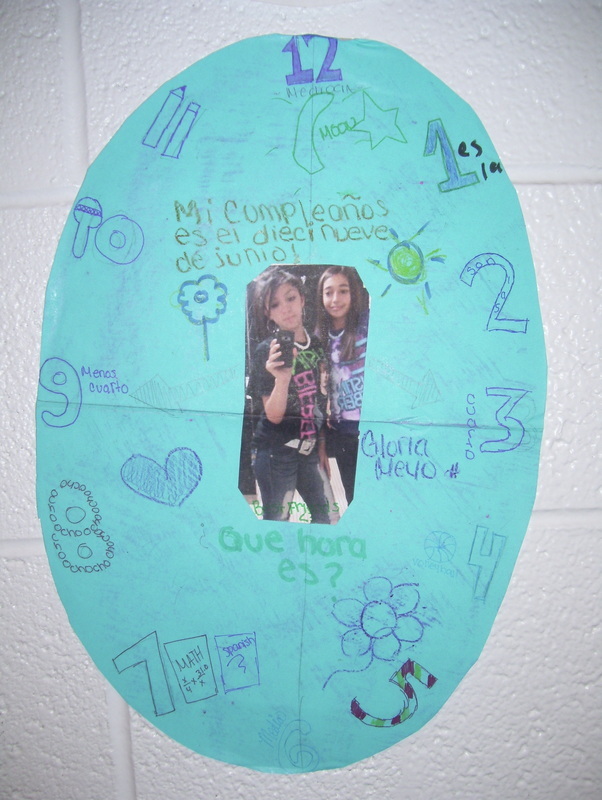 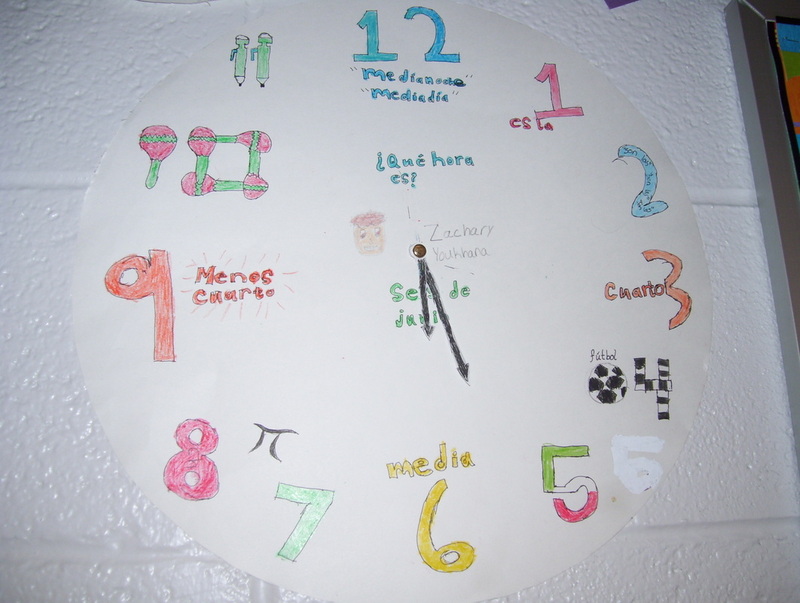 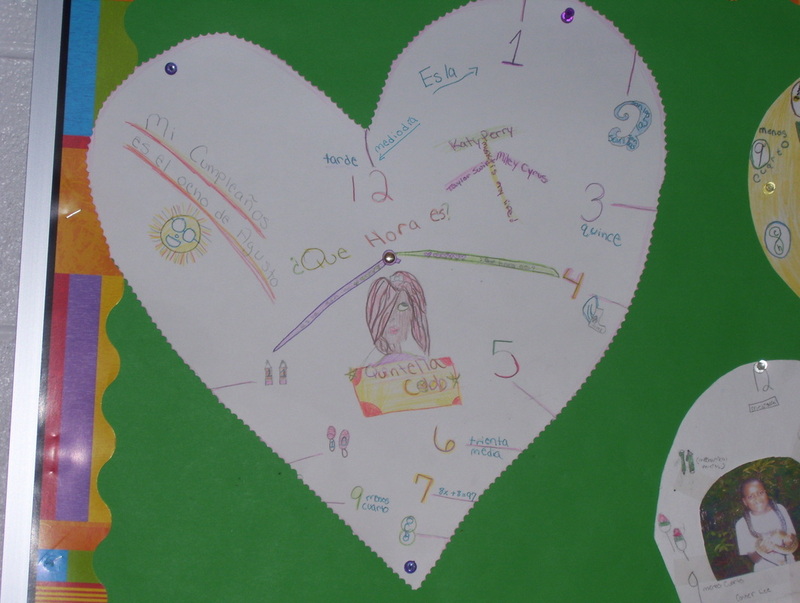 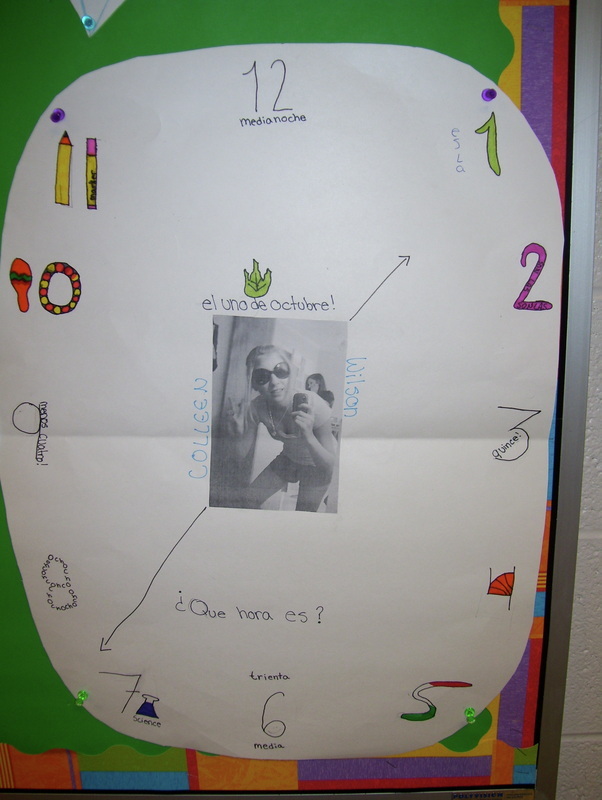 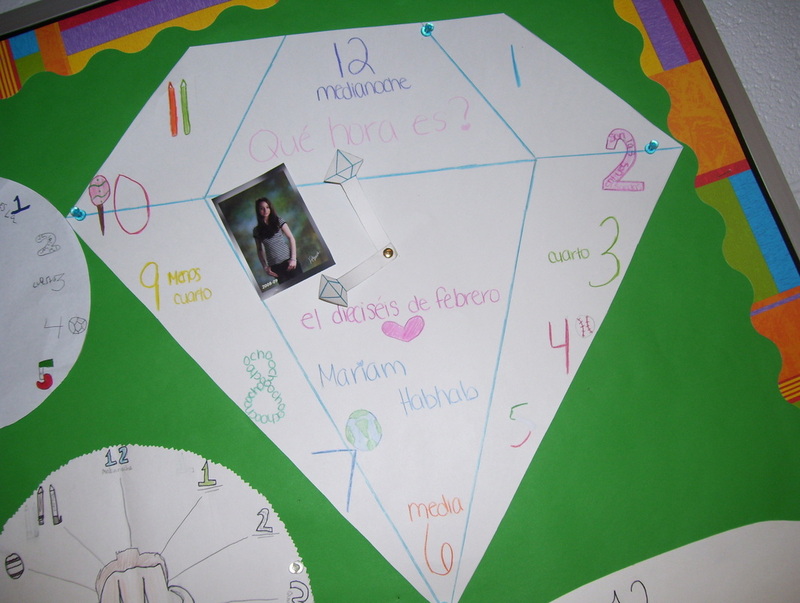 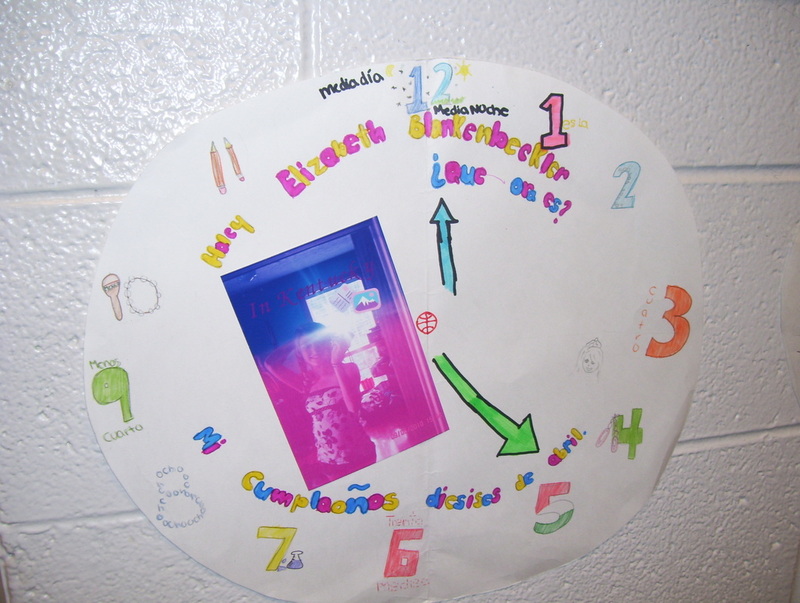 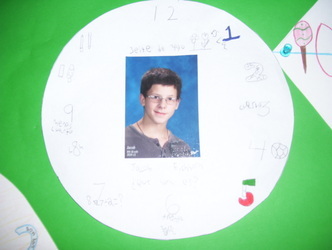 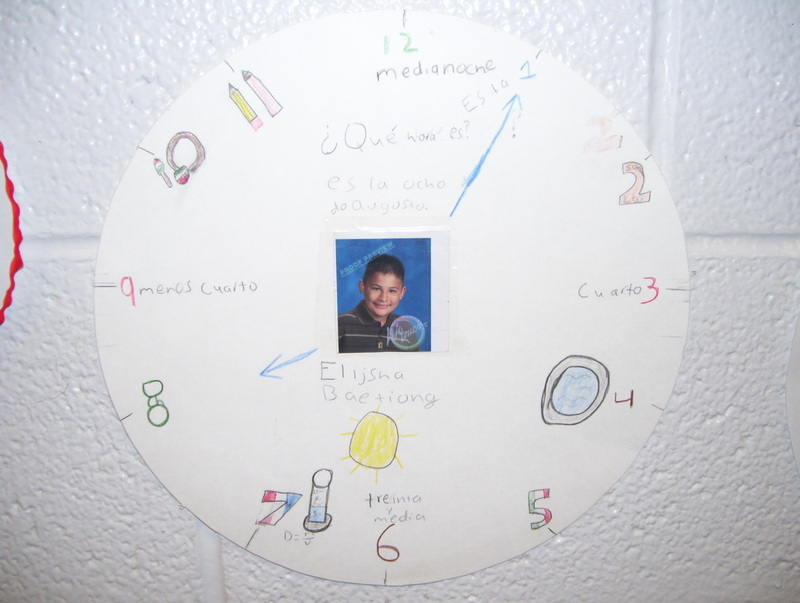 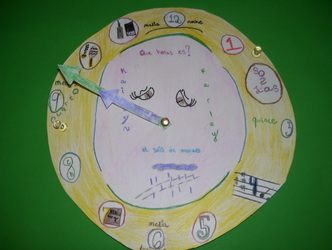 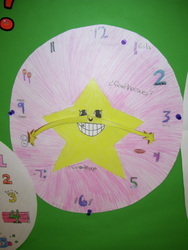 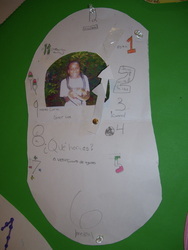 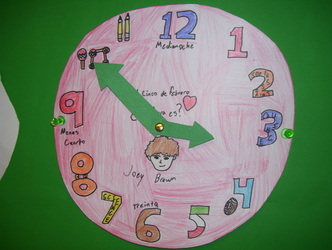 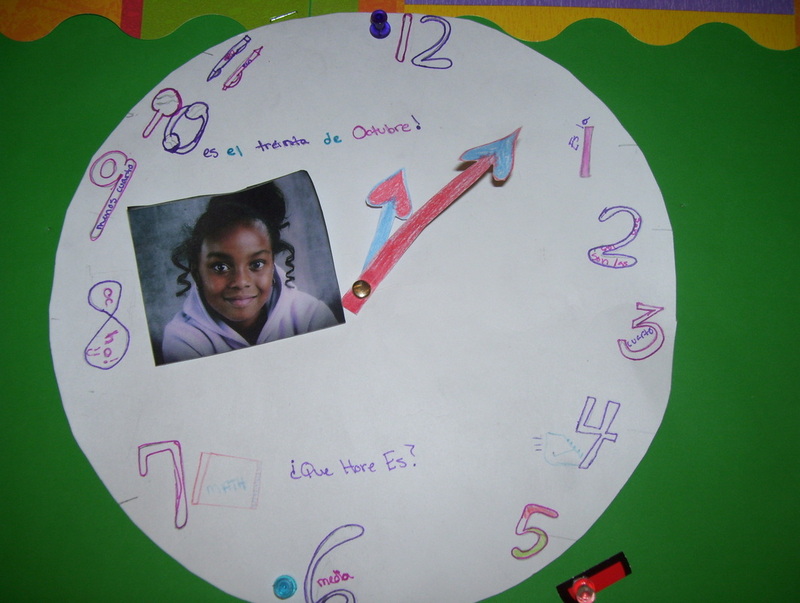 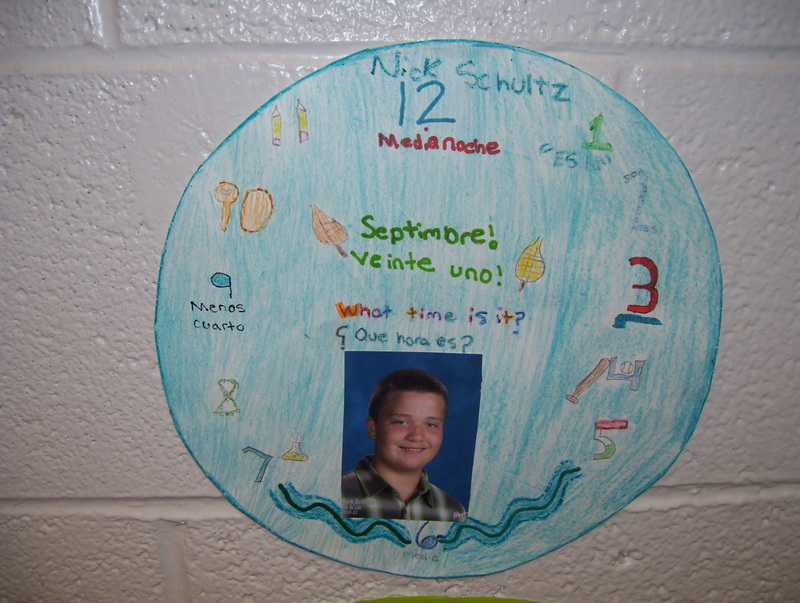 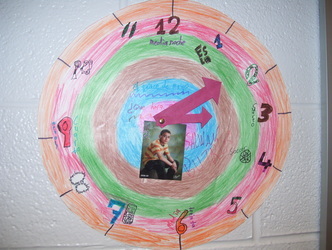 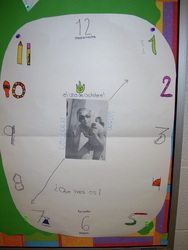 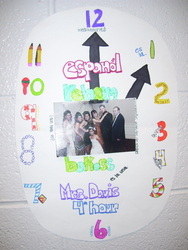 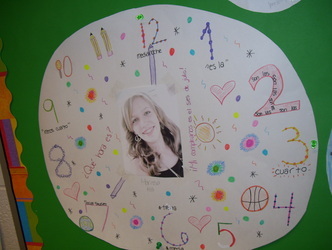 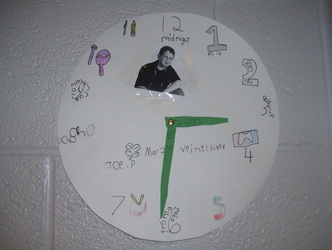 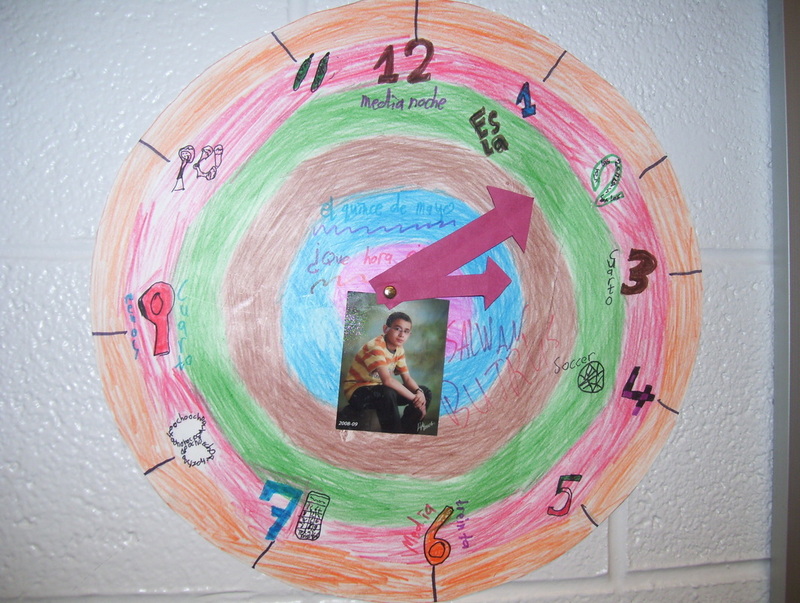 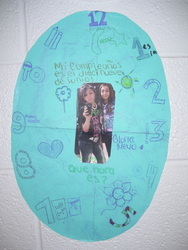 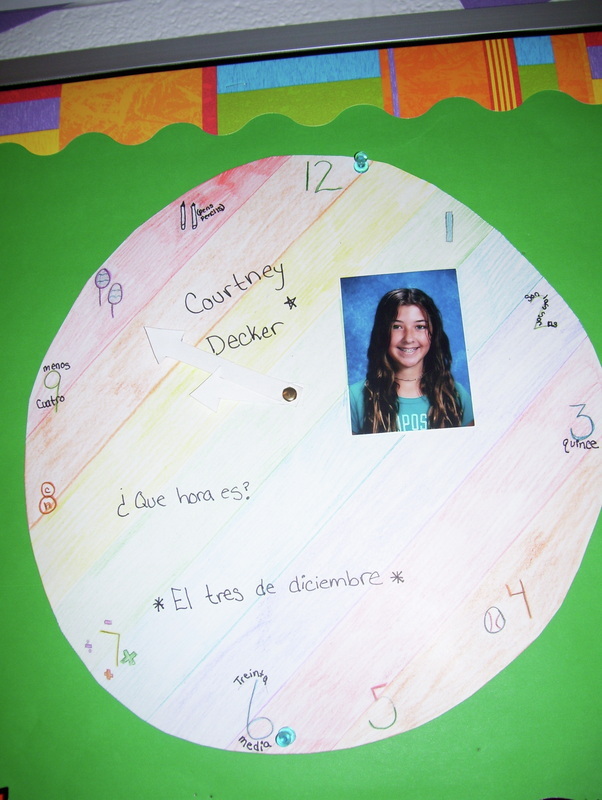 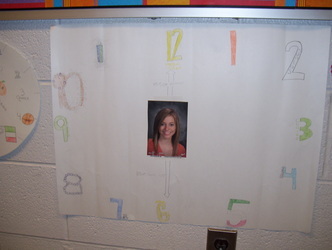 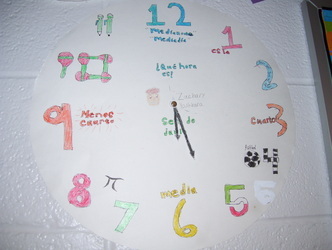 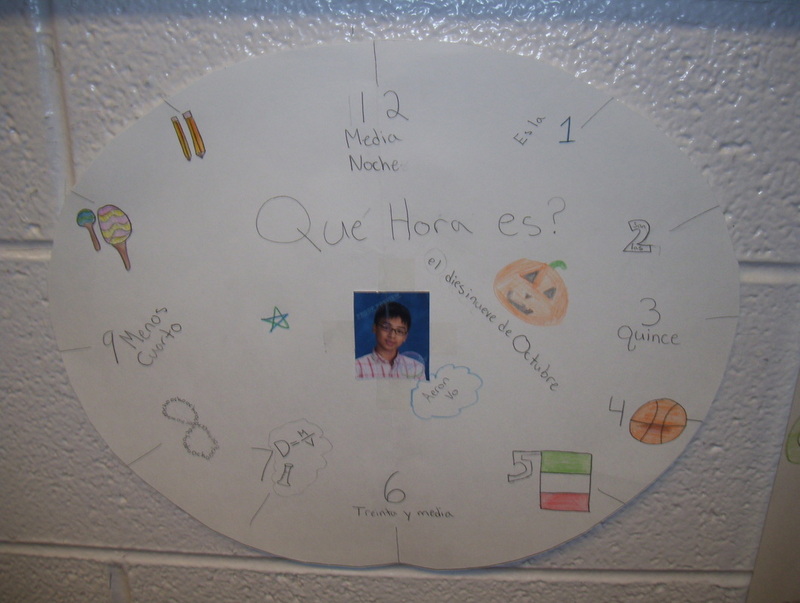 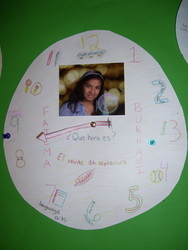 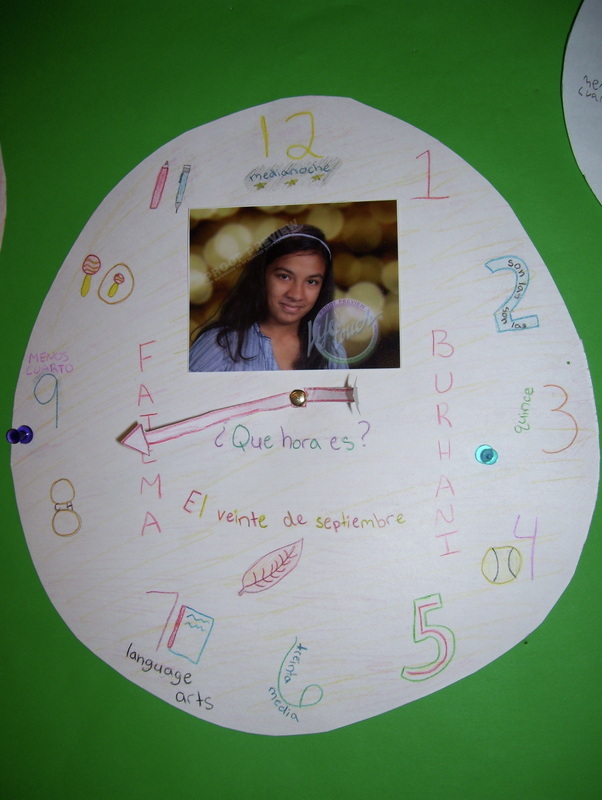 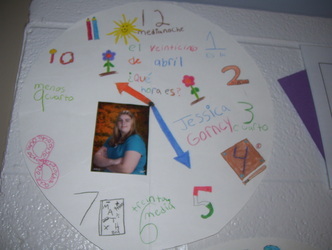 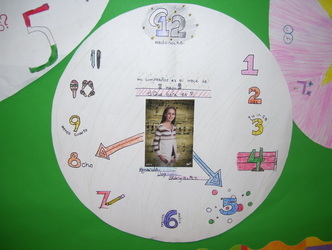 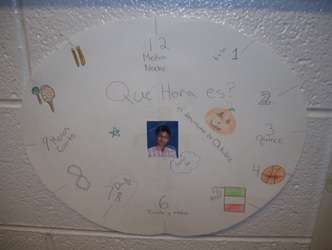 Eighth grade students created clocks to demonstrate their knowledge of time phrases and share tidbits about themselves (favorite color, favorite activities, etc.). 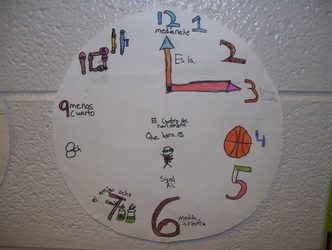 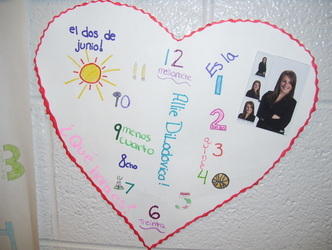 Enjoy learning some Spanish time expressions as well as gaining some insight into our favorites! 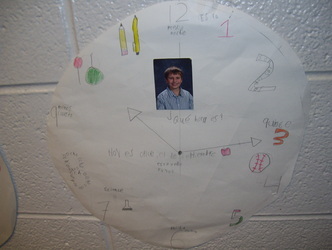 Click on any project to enlarge it. You can also click through the images slideshow style: Choose one and click "Next" to continue your tour.